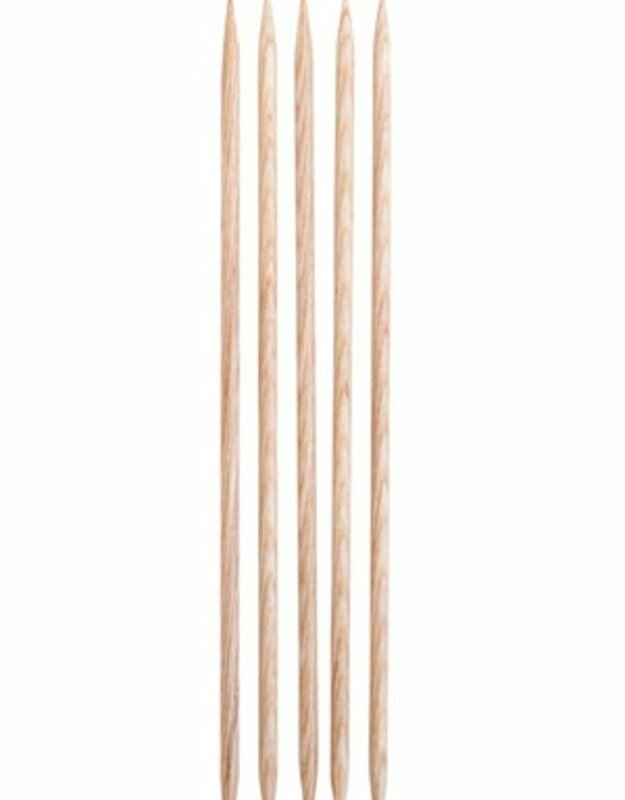 A blond twist on our ever-popular Rainbow wood needles, Sunstruck's golden layers of laminated birch allow every stitch to be beautifully displayed on a sun-kissed finish. Perfect for working with dark or variegated yarns, Sunstruck needles have the same strength and stability that you know and love - all with a lighter wood finish. Sunstruck's sharp, gradually tapered points slip easily into stitches, making even complicated cables and K3togethers move along quickly, while the burnished surface provides just the right amount of grip to easily manage slippery yarns. For 6” DPNs, we offer two US size 1 (equivalent to 2.25mm and 2.50mm) and two US size 2 (equivalent to 2.75mm and 3.00mm). 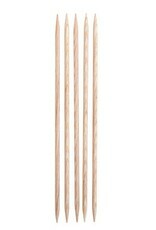 US Sizes 4 - 11 are available as 8" Sunstruck wood DPNs. Set of 6 per needle size.